I should start off this post by stating that my experience with Collectable Card Games (CCG), or really any card games for that matter, is virtually nonexistent. I did, for a short time, collect the World of Darkness (WoD) cards, way back in the 90s, but it was mostly that … collecting. I think I actually played only a handful of times and if I ever won I neither remember, nor would I have had a clue how it happened. Despite being an avid World of Warcraft player, I never bought a single pack of their paper CCG either; the WoD card game kind of soured me on the whole CCG thing, though I do still have all the cards I bought. Hey, maybe they’ll be worth something some day (shaw, right). With all of that in mind, when I first began to hear whispers of Hearthstone: Heroes of Warcraft I pretty much wrote it off as something that I’d never ever take a look at. 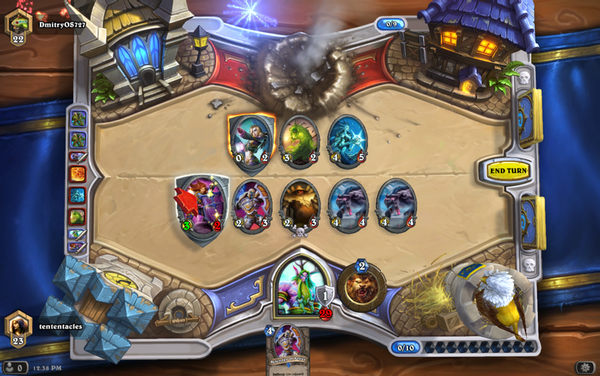 As I explained, I was kind of soured on CCGs. 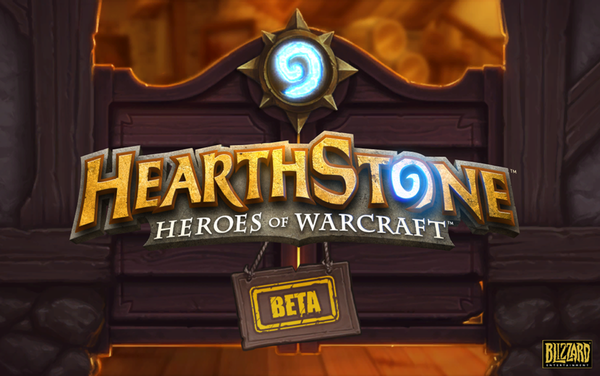 A few of the folks in the guild I’m a member of managed to get invites to the closed beta and, while they raved about it, again, I just ignored the hoopla. I was pretty damned sure CCGs weren’t for me. I trucked along, minding my own business and skipping by all the Hearthstone related tweets and posts, content in the knowledge that while it might be something other folks could enjoy, I wouldn’t. Then the open beta started, more of my friends started playing and raving about it (gosh, Mogsy, Pid, and Maric … you guys sure are mouthy), and I began to waver. After googling some details and learning that it was entirely free to play, I thought, what the hell, and gave it a download. I figured I had nothing to lose but some disk space I could recover. Plus, I do really love the Warcraft IP. I was pretty much hooked from the tutorial, though I continued to deny it for a few more days. I set myself a bar; I thought that if I could get each of the nine classes to level 10, unlocking their basic decks, and I was still enjoying myself, then I’d admit to myself and others that I was hooked. That only took about a week. The clincher on the whole deal was last Friday night when I hopped in to TeamSpeak during the Hearthstone event Zelibeli organized for Multiplaying and the Alliance of Awesome. 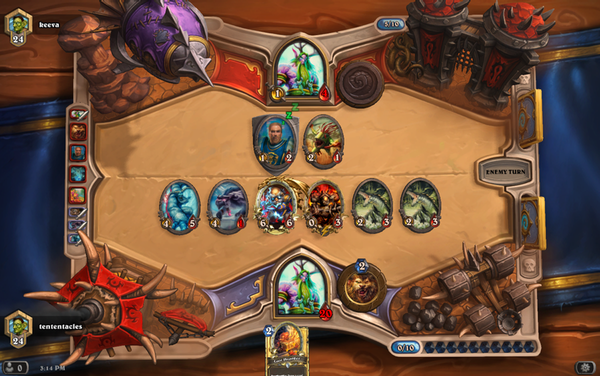 I had such a great time that I’ve pretty much been playing Hearthstone, mostly to do my daily quests, each day since. I even went out and spent some money for booster packs. This past week I’ve also ventured further into playing other real folks, through the matching system, in both Casual and Ranked games, and I even used up my one free Arena entrance fee and tried that out. I won two games before my three strikes and I was pretty impressed with myself. Though, I’m honestly not really sure if that was good or bad. 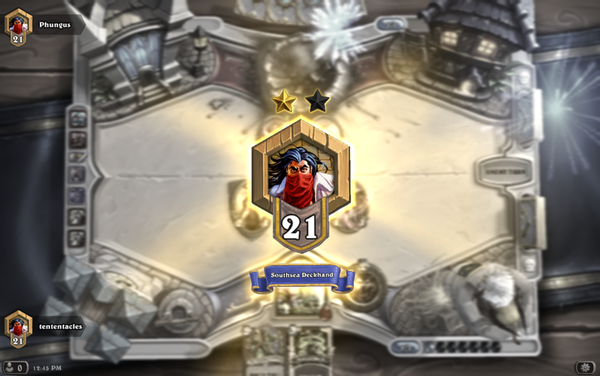 Still, it gave me the confidence to pursue more Ranked play, as well as Casual play to complete the dailies, and I have been having a fantastic time with my Druid. I’ll play the other classes if they’re needed for a daily, but Malfurion is most definitely my favorite. I went through my cards, disenchanting anything I didn’t absolutely need for my Druid deck, and built myself a sweet set of cards to wield with the Night Elf. While an experienced CCG player might not be satisfied with the above progress, for a complete CCG noob like me I was just flabbergasted to beat anyone in Ranked play. The rankings get wiped tonight, and I’m looking forward to starting fresh with everyone else. If you’ve never played a CCG, or are an experience player and are still on the fence about Hearthstone: Heroes of Warcraft, I highly recommend you take the plunge. You’ve literally got nothing to lose by trying it. And, with the basic decks outlined over at Icy-Veins.Com (I’ve found them to be an invaluable source), which can be built from each class’ basic decks and don’t cost a cent to get, it’s quite enjoyable in it’s entirely free to play state. 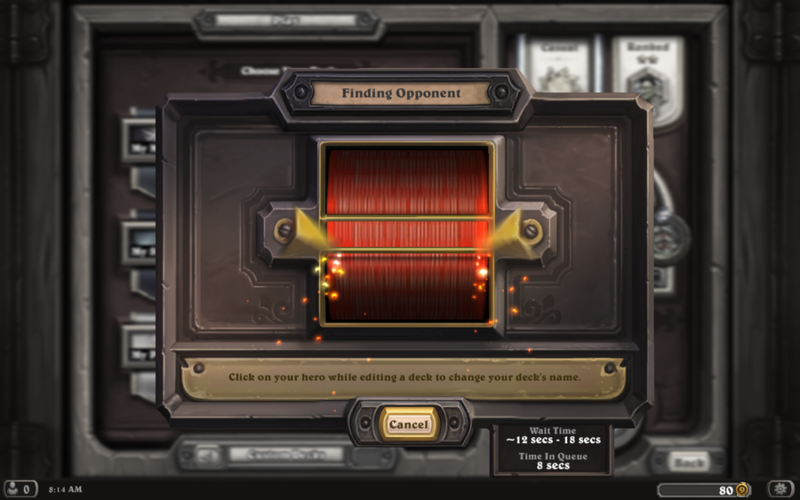 Blizzard has done an amazing job at making this genre of games easily accessible, a cinch to learn, and a barrel of fun. I am SO looking forward to the iPad version. On the surface the game seems basic, but there’s this nice layer of complexity that doesn’t hinder the game, and it’s addictive! Definitely addictive. And yeah, I’m. Or icing the layers now. My win ratio just went in the toilet and I have no idea why. LOL I might have to try a different class for a while. Or, do some reading to figure out what I’m doing wrong with my Druid.